What do we learn about Onesimus? Paul calls Onesimus his child, as he often does with converts, especially, it seems, those whom he had a special connection with through discipleship (cf. 1 Cor. 4:14-15; 2 Cor. 6:13; Gal. 4:19; Phil. 2:22; 1 Tim. 1:2). Onesimus, had a common slave name, his name meant “useful.” Paul makes a pun here. He basically says, Useful was useless to you Philemon but now he is useful to both you and me (v. 11). So, how was “Useful” previously useless? What did he do that explains the remark from Paul? He ran away from his master Philemon and likely stole money from him to pay for his voyage and new life. He used to be useless but not now, now Paul says, he is indeed useful. We have already seen that Paul used a term of endearment by saying Onesimus was Paul’s child. However, Paul does not stop there. Paul says, in sending Onesimus back to Philemon, he is sending his very heart (v. 12). Paul has a deep bond with Onesimus, he has been helpful to Paul (the old man!) in prison. As Paul says, “I would have been glad to keep him with me, in order that he might serve me on your behalf during my imprisonment for the gospel” (v. 13). So, Paul is making the case that Onesimus, though once deemed useless, is indeed useful both to Paul and Philemon. Onesimus, proves his new usefulness, as we’ve seen, by helping Paul. But not only that, he is repentant. He is willing to go back to Philemon his master, a bold step. In that day, slaves could be branded with the letter “F” for fugitive or “T” for thief (if they had a “gracious” master). Other masters may have their slave executed, perhaps even on a cross. There was a near contemporary of Philemon, a very wealthy slave owner, that was killed by a slave so in order to punish the slave and make an example all of the man’s slaves were killed; all four hundred of them (Hughes, p. 161-62). In fact, in Martin Hengel’s book Crucifixion there is a chapter titled “the ‘slaves’ punishment,” and in this chapter he tells about one occasion after a slave rebellion where there were six thousand slaves crucified (p. 55). What do we learn about Philemon? We do not know very much about Philemon but it seems as though he is wealthy since he had slaves and had a decent sized house since the church meant in his house (v. 2). We also see that Paul says a lot of good things about him (see v. 4-7). Paul has heard of Philemon’s love and faith and has received much joy and comfort because he has refreshed the hearts of the saints. So Paul says, “accordingly” (i.e. because of your character), I appeal to you in love. In fact, Paul says, “Confident of your obedience, I write to you, knowing that you will do even more than I say” (v. 21). Why would Paul be “confident” of Philemon’s obedience? Because he has proven himself faithful in the past (see v. 1-2, 4-7). We see for Philemon, Paul’s theology was not unobtainable, God’s truth was not impossible to apply, so here too, Paul could be confident. He would obtain what Paul says, in fact, Paul was confident Philemon will go above and beyond (“you will do even more than I say”). There were likely people (even within the church) that would have criticized Philemon if he was not harsh with Onesimus (see e.g. Pliny the younger, letters 9.21). So, what would lead Philemon to such a countercultural application of Paul’s teaching? Only the radical and counter-everything love of God as shown in Jesus. He has called “Not my people,” “My people.” He has loved us the unlovely. He has forgiven us although we wander and rebel. Philemon accepted his runaway slave back as a brother. Who do we need to accept? Why? Because the gospel transforms. It transforms us and the way that we see others. The situation between Philemon and Onesimus would have been irreconcilable in that day and would have likely resulted in Onesimus’ death. Yet, the gospel leads to radical change in our communities. Instead of death or punishment for Onesimus, he was welcomed in as a brother. Would it not it be the height of folly and pride for Philemon not to welcome his fellow laborer and fellow brother in the Lord?! It is a spit in the face of God if we do not welcome those who God Himself has already welcomed and reconciled! Church, in Christ we have a radical new identity and a radically new community. We have camaraderie, union with a whole swath of people that we otherwise have no connection with; however, in Christ, we are united, brothers and sisters. What do we learn about Paul? Paul as we know, is an apostle, though he does not say that in this letter, instead he simply refers to himself as “a prisoner for Christ Jesus” (see v. 1 & 9). Why does he say “prisoner” (and even “old man”) and not “apostle” as is so common? I believe, at least in part, it is because he is identifying himself with Onesimus. Paul, although a messenger of God, is a “lowely prisoner.” I think Paul is demonstrating that God does not look at outward appearances or situations. Paul is putting himself on equal footing with the slave Onesimus and appeals to Philemon to not only forgive but to welcome Onesimus as a “beloved brother” (v. 16). In fact, Paul says, “receive him as you would receive me” (v. 17). I think Paul is demonstrating that God does not look at outward appearances or situations. God is no respecter of persons. White collar, blue collar, or no collar does not matter to God. The ground is level at the foot of the cross. We also know that as an apostle Paul could have commanded Philemon, but instead, he appeals to him (v. 8-9). He appeals to him because he has proven his faithfulness time and time again (v. 4-7). And he wants his love and forgiveness to be genuine and not constrained. Paul does not command, he does not say “you have to.” Although, he does say something pretty close to that. Paul says, if Onesimus has wronged you at all, or owes you anything, charge that to my account (v. 18). Then Paul says, I will repay it-to say nothing about the fact that you owe me your own self (v. 19). What do we learn about Jesus? Of course, the physical actions of Jesus are nowhere to be seen in Paul’s letter but Jesus’ influence is all over the place. Paul is acting like Jesus. He is following Jesus’ example, as in so many places, and giving us an example to follow (cf. 1 Cor. 11:1). Jesus is the Mediator. He is in between two parties, the offended party (God) and the offending party (all of humanity). How then does Paul act like Jesus? Paul says, if Onesimus has done anything wrong charge that to my account, I will pay it (vv. 18-19). We also see that he says, welcome him as you would welcome me. Did not Christ also say this for us to God? Christ, in essence, said, “I will pay humanities’ debt, what they owe extract from me, every last drop” (“I’ll drink it down to the dregs”). However, He did not stop there, but said, “welcome them as You welcome Me.” So Paul’s mediation is acting out, showing us a much greater mediation; that of God the Son. Paul acted like Christ the greater mediator. Just as Onesimus needed a mediator between himself and his master Philemon, we need a mediator between us and our Master God. God made us and we were created to serve Him but in a similar way that Onesimus ran away, we have run from God. But God Himself has provided forgiveness, reconciliation, and He has done it through Jesus Christ. We have fellowship with each other because we (whatever that “we” consists of!) have been justified and identified with each other. We are not only on the same “team,” we are in the Christ. We, in Christ, are mutually identified (cf. Rom. 12:15; 1 Cor. 12:26; 2 Cor. 1:7; 11:28-29). Did Paul’s lofty theology work on the ground, or was it all too idealistic? There is documentation in the early church from Ignatius that leads us to believe that Onesimus, who was once Philemon’s slave, became the bishop of Ephesus. This means a happy ending. This means that God’s glorious truth can be put into practice to great affect! It means relationships can change, even very strained ones. It means in Messiah Jesus there is no longer Jew or Greek, slave or free, but Christ is all and in all, and unites all sorts of people from all sorts of places and walks of life (Col. 3:11). 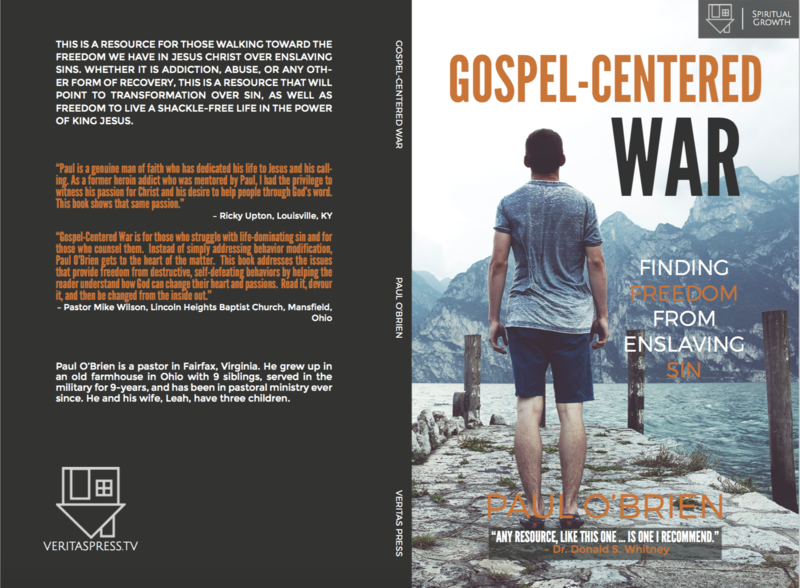 Thus, in this “case study” we see the weighty theology and gospel of Paul worked out practically in the lives of a slave and his master. Through this we see both a picture of the gospel and the result that the gospel has on the difficult issues of everyday life. We too must apply the reconciling power of the gospel to our own lives. How can we not welcome and love someone for whom Christ died? How can we not call precious somone whom God has deemed beloved? How can we love God, as John said, if we do not love our brothers? However, it is true that if Philemon and Onesimus are to live together in unity as brothers, they will need the grace and peace from God our Father and the Lord Jesus Christ (v. 3), they will need the grace of the Lord Jesus Christ to be with their spirit (v. 25), as will we, if we are to live the implications of God’s truth in community. God’s grace has shaped and informed Paul’s view of community and now he prays that it will also shape Philemon’s. Without God’s grace, and understanding God’s grace, there can be no true community in the church. Truly, Paul’s theology founded on the Christ that came to serve and not be served subverts any form of human oppression. The glorious gospel of Christ not only welcomes man to God but also has the power to welcome man to man. Dietrich Bonhoeffer wisely said, “It is not the experience of Christian brotherhood, but solid and certain faith in brotherhood that holds us together” (Life Together, p. 39).